You’ve probably heard of MRI scans. Magnetic Resonance Imaging (MRI) is a technique that uses magnetic fields and radio waves to build up a picture of what’s going on inside our bodies. Typically these scans are used to help doctors diagnosis injuries or conditions which effect the spine, joints and brain. It actually allows us measure activity in the brain by detecting changes in blood flow related to neural activity. In simple terms that means we can see, in detail, exactly which areas of the brain are activated when we perform specific tasks like language or memory. 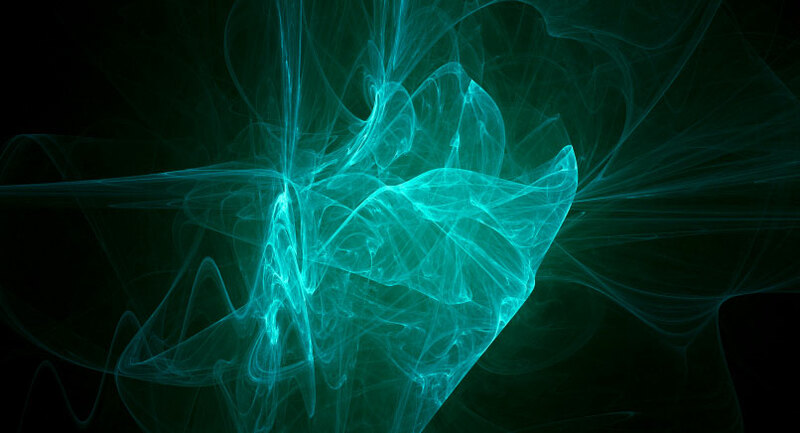 This is ground breaking stuff because it starts to give us a much clearer picture of all the different brain processes. Better still, there are no associated risks with fMRI scans to the patient. They’re quick and painless which makes it easier to conduct trials. Why is fMRI so important for misophonia research? Brain disorders are difficult to diagnose, let alone explain. If you cut yourself, a doctor or nurse can see the wound, disinfect it and stitch it up. If you have a broken leg you can have an X-Ray, a doctor can see the break and treat you. When it comes to neurological disorders it’s far more difficult to pinpoint what’s going on. We can see what the brain looks like from the outside, but until recently (fMRI has only been around for 20 years) it has been much harder to see what’s going on inside the brain of a live patient… which regions are activated when we see, hear, smell or touch…. how we process memory…. what’s going on in there when we speak. fMRI gives us a glimpse inside these processes and helps us to gain a better understanding of huge range of brain functions and processes. Brining it back to subject of this article, it also helps us look at sensory disorders such as Sensory Processing Disorder and misophonia. When we have a misophonic response we know exactly which region of the brain is involved and activated. The area of the brain which is active is an area called the amygdala, an almond shaped cluster of nuclei located in the limbic system. In evolutionary terms the amygdala is one of the oldest parts of the brain and is involved in decision making, memory and emotions. It’s also responsible for threat response and the body’s physiological reaction – putting you into defence mode and quickening the heart rate. So the senses (your eyes, ears, nose and so on) gather information and this is processed by the amygdala. At this stage we know from fMRI studies that in people with misophonia (versus a control group) the specific sounds are perceived as threats which is why you suddenly feel overwhelmed. Your heart starts racing and your brain goes into high alert mode. I just had a very interesting chat with Dr Sukhbinder Kumar from the Institute of Neuroscience at Newcastle University and at University College London who is doing some fantastic work in this area. He did a study in 2012 where the result confirmed that it appeared “something very primitive kicking in… a possible distress signal from the amygdala to the auditory cortex”. You can see a good synopsis here. Dr Kumar has some new research due to be published shortly which I’ll link to on this site as soon as it becomes available. I’ve given him my contact details so that I can take part in future studies. If you have misophonia and would be interested in taking part in trials please make sure you’re signed up to the Allergic to Sound email list (below) – that’s where I’ll notify people about upcoming studies. I think the fmri studies for misophonia are excellent. Not only does it verify a physiological abnormality but can also be a diagnostic tool to prove that someone does in fact have this. I guess we don’t talk about them as much, because, as is in my own experience, there aren’t as many compared to the list of auditory triggers, and they are more easily avoidable… all you have to do (99% of the time) is simply turn the other direction or put your hand to your brow to hide the offender. Regardless, isn’t including the aspect of visual triggers integral to truly understanding Misophonia and how it involves each part of the brain? 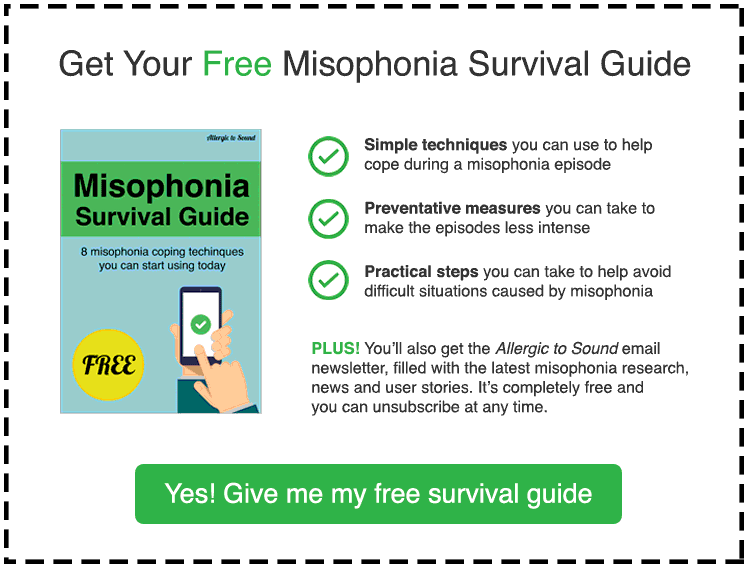 I’ve seen text that suggests that Misophonia appears to be a disfunction of the auditory cortex and its connections to the limbic system. But where do the visual triggers fit in? Is there a malfunction in the part of the brain that processes visual stimuli, too, and wouldn’t the involvement of two different sensory processing centers be a jumping off point, rather than honing in on one, individual aspect of Misophonia? I don’t know. Maybe the name, itself, of our condition has something to do with it. But in the name of research, I really would like to see some attention given to the visual triggers. I think they are a key part of finding a solution to such a mysterious malady. Hi Heather, interesting point! Like you I have both misokinesia (visual) and misophonia (auditory). However, it seems not all folks with misophonia have misokinesia and vice versa. With that said a relatively high proportion of people do. I’m 100% with you that we need more research into the visual branch and both in tandem. I am in a desperate situation as the only non miso in a family of 4 all with miso. I don’t know how to help them. All have APD as well. Youngest also diagnosed with Autism.